Katherine Tapley-Milton lives with her husband, Dave, and five cats in Atlantic Canada. She graduated from Mount Allison University with a B.A. in the areas of psychology, sociology, and history and has a two year Master of Theological Studies degree from Tyndale Seminary in Willowdale, Ontario. Katherine has been a freelance writer for the last 35 years and has been published in hundreds of periodicals. Her books “Mind Full of Scorpions”; “Devotions With Your Cat”; and “The Adventures of Sir Lancelot the Cat” are sold on Amazon and West Bow Publishers. Her hobbies include cooking, organic gardening, writing, reading historical romances, doing crafts, and hanging out with her cats. 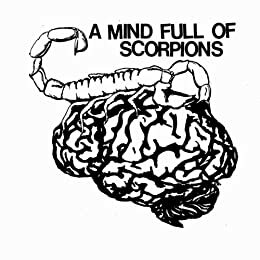 “Mind Full of Scorpions” describes a woman with a serious mental illness, trying to find help but abused mentally and sexually by those who were supposed to help. Buy Mind Full of Scorpions by Katerine Tapley-Milton today on Lulu.com. Buy Mind Full of Scorpions by Katherine Tapley-Milton today on Amazon.co.uk. Sir Lancelot the cat is a feline hero who finally finds a forever home, gets lost, enjoys Christmas, and gets jealous. To his owner, Kathy, Lancelot is a hero whose orange paw reached out of a cage and chose her as his owner. But will Lancelot accept Kathy’s boyfriend Dave? 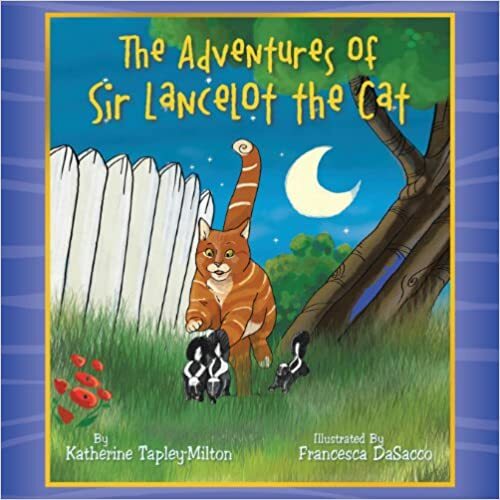 Buy The Adventures of Sir Lancelot the Cat by Katherine Tapley-Milton today on Amazon. Buy The Adventures of Sir Lancelot the Cat by Katherine Tapley-Milton today on Westbow Press. 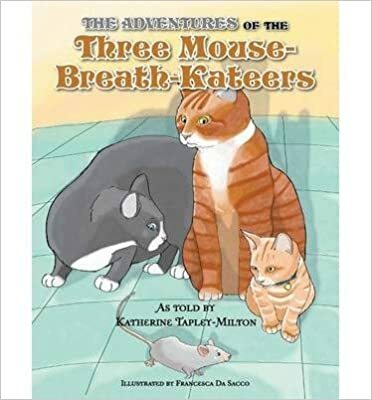 Buy The Adventures of the Three Mouse-Breath-Kateers by Katherine E. Tapley-Milton today on Amazon.co.uk. 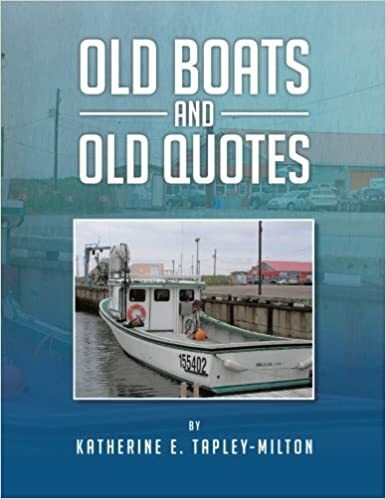 Buy Old Boats and Old Quotes by Katherine Tapley-Milton today on Amazon.co.uk. 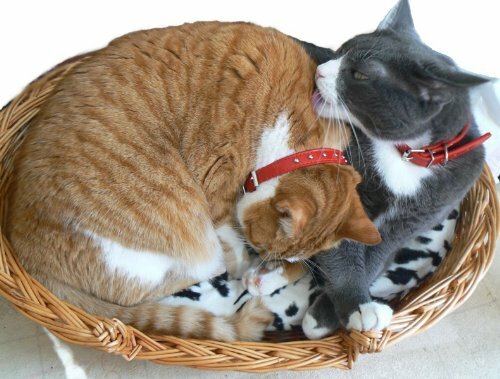 My book “Cutest Kitties” shows photos of our 6 beautiful cats who are our therapy cats. Now anyone can see what they have been up to and enjoy their beauty. If you are a cat lover, this book is for you. Buy My Cutest Kitties by Katherine Tapley-Milton today on Lulu.com. Dotting the landscape of Prince Edward Island, New Brunswick, and Nova Scotia is wonderful folk-art statues. These statues are often symbolic of what the areas are famous for. Katherine E. Tapley-Milton stunning photos bring the areas to life as she details information regarding the areas and their “big stuff.” Travel to the large lobster in Shediac, New Brunswick that trumpets the fact that this town is the lobster capital of the world. Visit the huge blueberry in Oxford, Nova Scotia that shows everyone this town is famous for its blueberry industry. View the large statue of a cow to advertise Cows Ice cream, in Prince Edward Island all while never having to leave your house. 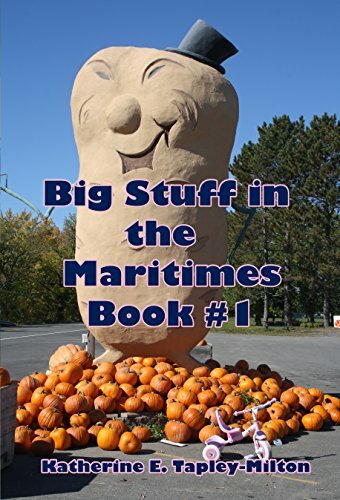 Buy Big Stuff in the Maritimes Book #1 by Katherine E. Tapley-Milton on Amazon.co.uk today. Buy Big Stuff in the Maritimes Book #1 by Katherine E. Tapley-Milton on Amazon.com today. Dotting the landscape of Prince Edward Island, New Brunswick, and Nova Scotia is wonderful folk-art statues. These statues are often symbolic of what the areas are famous for. 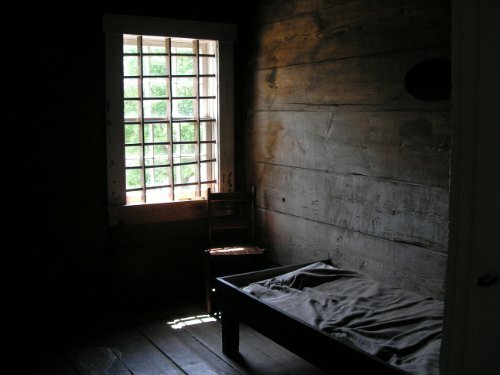 Katherine E. Tapley-Milton stunning photos bring the areas to life as she details information regarding the areas and their “big stuff.” Travel to the the Dungarvon Whooper in Blackville, New Brunswick twith the ghostly story behind it. Visit the Grohmann Knives in Pictou, Nova Scotia that looks like a giant threw a knife into the side of the building. View the Car Parts Transformer at the Ripley’s Believe It or Not building, in Prince Edward Island all while never having to leave your house. Join Katherine as she discovers new locations and new statues in her second book in this series. Buy Big Stuff in the Maritimes Book #2 on Chapters/Indigo today. Buy Big Stuff in the Maritimes Book #2 on Kobo.com today. 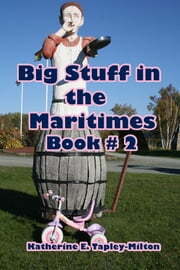 Buy Big Stuff in the Maritimes Book #2 on Amazon.com today. Katherine E. Tapley-Milton tickles your taste buds with some of her mother’s favourite recipes. Mother Tapley was well-loved by her guests partially for her delicious meals and treats whenever she entertained. One of her best recipes was her lemon syrup made to perfection for lemonade. Each recipe was made from scratch and is Down East comfort food. Buy Mother Tapley’s Cookbook: Tasty Down East Cooking today on Kobo.com. Buy Mother Tapley’s Cookbook: Tasty Down East Cooking today on Amazon.com. From the author of “Big Stuff in the Maritimes,” “The Disappearing Mailboxes of New Brunswick and Nova Scotia,” and “Mother Tapley’s Cookbook: Tasty Down East Cooking,” comes to an all new cookbook. Try some of her family recipes while she spreads a little Christmas cheer. Inside you will find a few gluten-free, diabetic, lacto-fermented recipes, and a few recipes of old. 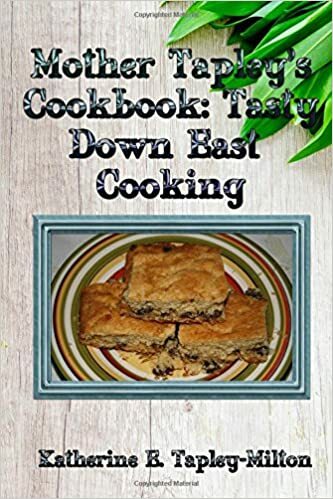 Buy Kathy’s Down East Cooking Christmas Cookbook today on Kobo.com. 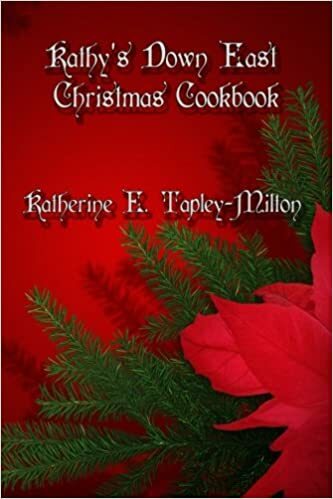 Buy Kathy’s Down East Cooking Christmas Cookbook today on Amazon.com. creativity, now rare to see because the postal service has changed and these can no longer be used. Katherine E. Tapley-Milton brings the mailboxes of old back to life once more in her book. Enjoy viewing some beautifully taken pictures for what could be the last time. The book contains facts about mailboxes, Nova Scotia and New Brunswick. 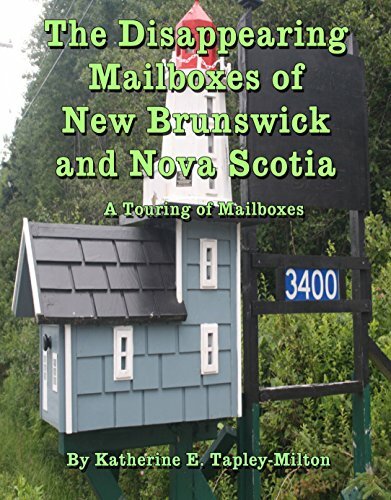 Buy The Disappearing Mailboxes of New Brunswick and Nova Scotia by Katherine E. Tapley-Milton today on Amazon.ca, Amazon.com, or Amazon.co.uk. “Pearls from Pain” Contains 40 unique poems on emotional honesty. It is written by freelance writer, Katherine E. Tapley-Milton who has 8 other published books and hundreds of magazine articles to her credit. Buy Pearls from Pain on Lulu.com today. This book is a collection of seascapes taken in New Brunswick and Nova Scotia. Can you spot where the Sand Castle Competition is? Do you know what Lunenburg Harbour looks like? Can you spot Five Islands? Take this book with you on vacation and try to spot the different beaches and seascapes that are in it. Buy Find that Seascape on Lulu.com today. This is a book that challenges you to find where the ships and shorelines are located in the Maritimes. When you go on vacation note how many of these you can locate. The book shows scenes from the Bay of Fundy; Five Islands; Shediac; and Lunenburg. Buy Where is that Ship or Shoreline? on Lulu.com today. This book has 365 spiritual lessons — one for each day of the year. You can read these devotions curled up with your cat or favorite pet. “Devotions with Your Cat” tackles subjects seldom mentioned such as suicide, the unpardonable sin, prolonged suffering, and of course cats! Buy Devotions With Your Cat by Katherine Tapley-Milton today on Amazon.ca, Amazon.com, and Amazon.co.uk. This book is made up of articles from the alternative side of mental health. The author has bipolar illness herself and has been widely published. You will see mental illness in a different light after you read this. The author tackles such controversial issues such as shock therapy, innovative therapies, and how certain mental illnesses feel from the perspective of the sufferer. Buy Words from the Madhouse by Katherine Tapley-Milton on Amazon.ca, Amazon.com, and Amazon.co.uk. Why not speak for your 2018 Super-Cat Calendar now? Larry, Merlin, Rosa, Jimmy, and Max are there to mark each month. Buy Katherine Tapley-Milton’s 2018 Super-Cat Calendar through Lulu.com.